BROKEN has won a 2015 Rising Star Award from the Canada International Film Festival (Vancouver) It’s always rewarding to be recognized for your work and I would like to thank the festival organizers for including BROKEN with the other recipients. 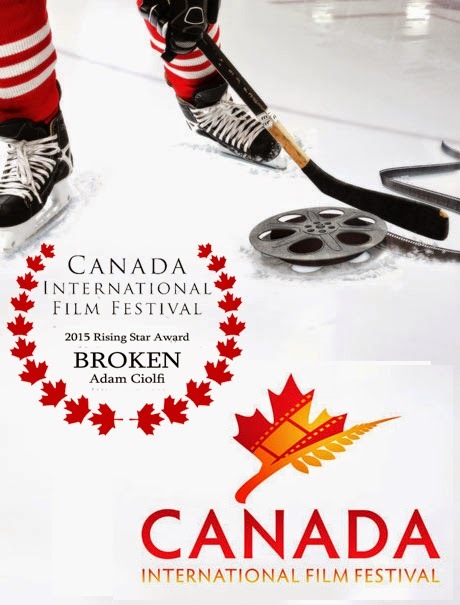 The festival runs in April but due to limited screen time BROKEN will not be part of the program but those in the Vancouver area will still have a chance to see BROKEN on the big screen when it plays at the CANADADROM film festival in July. Exact date and time coming soon.